The Bank of Ireland Provincial Towns Cup is now down to the penultimate phase after last weekend’s quarter-final action. All four games were keenly contested with Division 1B outfit Longford providing the upset of the round knocking out 2015 finalists and Division 1A club Kilkenny. The semi-finals will see three top division sides in Wicklow, Gorey and reigning champions Enniscorthy joined by Longford. Home-side Wicklow were made to play against both Dundalk and a gale-force wind in the opening half. Dundalk raced into a 10-0 lead early in that first-half but failed to add to their tally after that. Wicklow got their first points on the board after half an hour when Niall Earls landed a penalty. They followed these opening points up with a barrage of attack but Dundalk limited them to just another penalty. Earls got his third penalty quickly after the restart and the initiative, and the breeze, were both with the home side. The try they craved finally arrived when Ben Porter got over with that man Earls adding the extras. Along with two more penalties, he also added the conversion for their second try of the game, scored by Adam Cullen, while his last penalty on the stroke of full-time left it a 19-point game in the end. 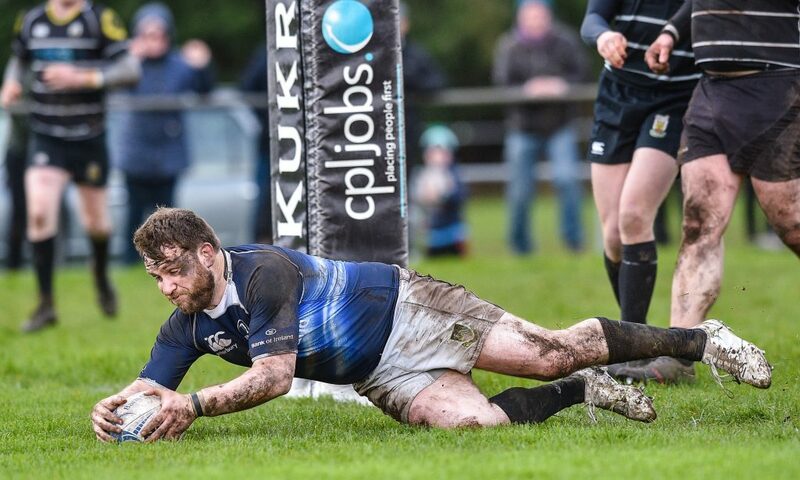 The reigning All Ireland Junior Cup champions made their exit from the Towns Cup on Sunday. Visitors Gorey came away from Meath with a six-point win. Gorey made good use of the wind in the opening half, going in 16-3 up at the break with two tries for the Wexford men. The second-half saw Ashbourne launch a revival and when Donal Crotty got in for a try that was converted, it left the score 16-10. The Gorey men held out and deservedly move on to the semi-finals. Reigning champions Enniscorthy are still on course to defend their crown after coming through this tricky test with flying colours, dispatching Tullamore 2nds by 22 points. Playing at home, they rested a number of first team players and were given a stiff test but once they got into their groove, the result was never in doubt. Again the wind had a big impact, having a hand in Enniscorthy’s 19-7 lead at half-time. In-form winger Ivan Jacob was the star of the show with four tries and it was his first that got them motoring after 17 minutes. Another from Jacob and one from Nick Doyle left them in a position of control at the interval. Tullamore failed to take as much from the wind as their hosts. Jacob added two more while Daniel Pim and David O’Dwyer also got in on the try-scoring with Ivan Poole and Killian Lett sharing out the goal kicking honours. The stand-out result of the weekend is that of Longford getting the better of 2015 finalists Kilkenny. Kilkenny would have been the favourites but having to travel to Longford meant that this always had the ingredients for an upset. Longford have had a good run in Division 1B of the league and are playing for promotion to Division 1A this weekend so their potential won’t have come as much of a shock to Kilkenny. The visitors wasted little time in making inroads with a converted try inside seven minutes. It was far from an ideal start but, amazingly, Longford would go on to keep them scoreless for the rest of the game. They even went in level at half-time despite playing against the wind with full back Ian McCormack going over for a try, converted by Mark McHugh. Now with the wind at their back, they set out to get the job done. 15 minutes after the restart McHugh landed a penalty to put them in front and in the 70th minute, the game was made safe when Paul Gallogly crashed over for their second try following good work from Dylan Quinn. With time just up, McHugh floated over another penalty to leave it 20-7 at the final whistle.